Instant messaging apps are now globally popular; Credit goes to easy access of internet worldwide. As one of them, WhatsApp has become one of the handiest communication methods on your mobile device all across the globe almost free of charge. However, to use this efficient app, you need a smartphone, a stable internet connection, and your mobile number. Yet people sometimes wonder: do they really need a mobile number to activate and use WhatsApp? The answer is, well, no. The good news is, you can use WhatsApp without your mobile phone number or SIM card. It’s not a myth and the methods are not so difficult. Tehnically each of these methods is safely working. To be precise, there are three methods to install and use WhatsApp on your mobile device without using a mobile number as shown below; please read on to get your tricks. Bonus Tips: Accidentally lost WhatsApp messages from iPhone? 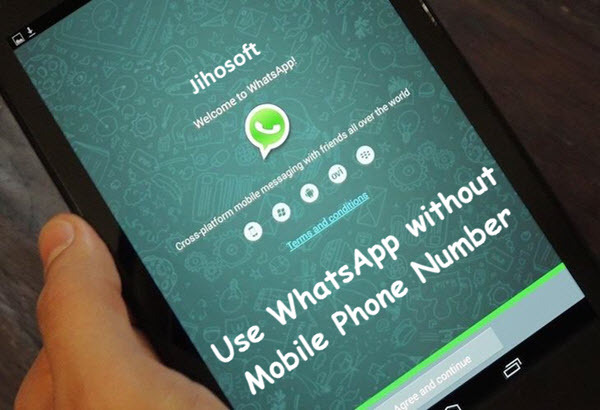 Use Jihosoft iPhone Data Recovery to easily recover the deleted WhatsApp chats from iPhone or iPad. In this method, we will involve a small white lie for sending a fake text, but don’t worry, it works and does no harm to anyone. You must ensure that your device is not registered with WhatsApp. Set your smartphone into flight mode whenever you are asked for the phone verification. When your phone is in flight mode without a network connection, by default, the verification process for WhatsApp account will not work. So when you create a WhatsApp account, select SMS verification instead and submit your email address. As soon as you hit “submit”, instantly tap on “Cancel” as well. Now, you need to download and install a fake message app on your phone. If you are an iPhone user, the best app to be installed is ‘Fake a Message’. Once installed, this app will mask your number and will help you fool WhatsApp to believe that your number is genuine. After this app installed, head towards your mail inbox of your iPhone and copy the text message sent by WhatsApp for verifying mobile number to your email, then send it to a fake number. This step is perhaps the most crucial because it is the final step that will complete the verification process. Now, you are all set with your new WhatsApp account which is verified by a fake number. It will be authenticated, and you can use it worldwide. Before you start using WhatsApp, you are supposed to download and install WhatsApp, and your phone verification is a routine job in this process, otherwise your WhatsApp will not be activated. It is a sheer fact that WhatsApp needs a phone verification, but the tweak is, there is no compulsion that it has to be your mobile number. Sounding weird? Let me explain you the process in few steps. You need to open the WhatsApp on your mobile, tablet, or on your laptop. When it asked your phone number for verification, provide your landline number instead. In this phase, the SMS verification process will definitely fails. So select the option “call me”, and you will get an automated call from WhatsApp to your landline number. The automated voice will tell you a 6-digit code for completing the verification process. Write down/memorize the code because you need to use that input into your device. Once you have keyed the 6-digit code into WhatsApp, you will get the access to use the WhatsApp messenger app with a landline number. Well, there may be the situation that neither you have a landline number nor a fake message app installed in your phone. But the good news is, still you can manage to use WhatsApp application without verifying your mobile number. Just follow the steps narrated here. 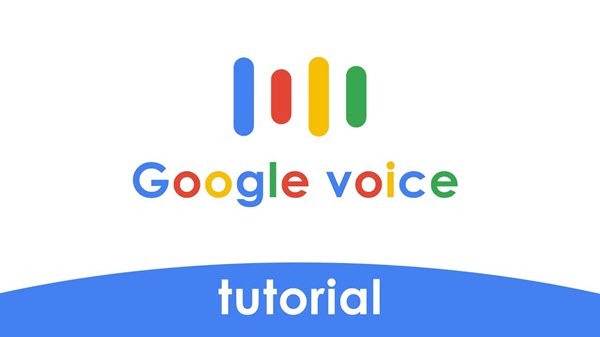 Register for a Google Voice Account. Once logged-in, select your desired location, and then select a phone number from the given list. 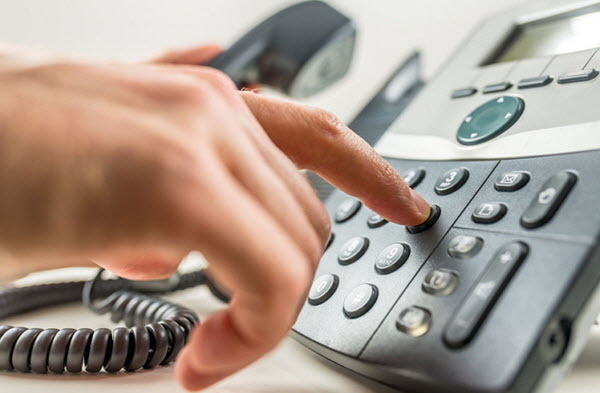 Once you have picked your phone number from Google voice account, type in your actual number so that the given code can be retrieved by you easily. Then after, you need to reinstall the WhatsApp application in your phone and follow the next step. You have to input the number which you got from Google voice account in the Whatsapp verification process. After then, click on the “Done” icon, and then you will receive a verification code from WhatsApp via the dashboard of Google Voice. Enter the code to complete the verification process. WhatsApp will authenticate your account and now, you can use the WhatsApp messenger application in your iPhone without your phone number. These are three easy techniques to use WhatsApp without involving your mobile number. All the three ways are quite simple and hassle-free to follow and implement. You can simply try any of these three methods and you can access WhatsApp messenger application without having genuine mobile number. You will get to use WhatsApp Messenger on your mobile device as well as on your laptop/PC. If you have any question or other valid method, welcome to comment down below.